Immunotherapy treatments are becoming a more viable option for mesothelioma patients. This novel approach to treating mesothelioma can provide an alternative to traditional methods. Immunotherapy treatments use drugs to stimulate the patient’s immune system to kill mesothelioma cells. Although immunotherapy for mesothelioma is still being developed, the treatment has shown success in its use for other cancers and specialists are optimistic about its potential for mesothelioma patients. Clinical trials are often a source of revived hope for mesothelioma patients. Some of the most encouraging clinical trials are those currently testing novel immunotherapy treatments. Targeted therapies differ from standard treatments, such as chemotherapy, in that they don’t damage healthy cells. Immunotherapy is designed to only attack mesothelioma cells, which then results in fewer side effects for the patient. Immunotherapy provides a great treatment opportunity for late-stage mesothelioma patients because of the relatively few side effects associated with it. Immunotherapy can keep patients healthier and prevent or slow down metastasis in some patients. There is only one approved treatment for mesothelioma. Clinical trials give patients many more options. Novel treatments, like immunotherapy, are available to patients through clinical trials. The immune system has the ability to recognize and remember previous invaders. By harnessing this ability to target cancerous cells, the immune system can be trained to specifically kill mesothelioma cells. The immunotherapy treatment would continue to have an effect even when the drug was no longer being administered. In the world of novel cancer treatments, people often hear the phrase “targeted therapy” without understanding what it really is. Targeted therapy generally refers to immune therapy treatments that only affect cancerous cells, leaving healthy cells untouched. When healthy cells are unaffected, the patient experiences fewer side effects. The immune system is a complicated system of cells and organs that allows our bodies to fight back against bacteria, viruses and even mutated cells responsible for cancer. By harnessing the power of the body’s immune system, new immunotherapy treatments are successful in treating cancer while keeping patients healthy. Cancer vaccines use this targeted approach to stimulate the immune system to attack cancerous cells. The process can be illustrated in four steps. Step 1 – Immune cells don’t recognize cancerous cells as a threat, which allows them to replicate and spread. Step 2 – The drug is administered to the patient, attaches to cancerous cells and raises the alarm to the immune system. Step 3 – The patient’s immune cells are now able to recognize and target cancerous cells on their own. Step 4 – The patient’s immune cells seek out and destroy cancerous cells, leaving healthy cells unharmed. A targeted therapy approach means fewer side effects. Most of the side effects caused by traditional cancer treatments (such as chemotherapy and radiation) are due to extermination of healthy cells in the body. Unlike traditional treatments, targeted therapy leaves the healthy cells alone while focusing on fighting the cancer cells instead. Although immunotherapy drugs are known for low side effects, all new drugs should still be approached with caution and may still cause some side effects. There are many mesothelioma specialists who are researching immunotherapy and have hope for its potential. If you’re interested in seeing if immunotherapy could benefit you, get connected with a doctor offering this treatment with our free Doctor Match program. We appreciate you sending the trial involving Keytruda. That drug has been on our radar. 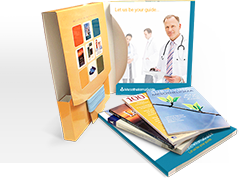 We sought a second opinion and that oncologist mentioned Keytruda. We will give that information to our local oncologist. I have so appreciated your prompt responses and professionalism. Most of all, I have appreciated a kind voice (cyber and real) to help me navigate through this clinical trial maze. Thank you again, Jenna. You are very appreciated. We often take our immune system for granted, not noticing their effects until something goes wrong. Inflammatory responses such as redness, swelling, heat and pain are examples of the immune system in action. Even allergies are the result of an overactive immune system (itchy eyes, runny noses, etc.). When mesothelioma cells first start emerging, the immune system keeps these cells in check. Eventually, the immune system is no longer able to regulate these cells. When this happens, mesothelioma overpowers the immune system and tumors form. The risk of developing mesothelioma increases with age. Everyone has a minute amount of cancer cells in their body that are kept in check by their immune system. However, as we age, our immune systems naturally start to breakdown, and this provides an opening for cancers like mesothelioma to develop. Immunotherapy can either be active or passive. Active immunotherapy introduces a drug into the body that initiates the immune system to actively seek out and destroy cancer cells on its own. Active immunotherapy does this by way of introduction of an antigen into the body that produces a natural immune response. Passive immunotherapy treatments differ by introducing synthetic immune system proteins into the body that mimic an immune system response and destroys cancerous cells. The field of immunology is extremely complex, which underscores why immunotherapy treatments are still in development. Understanding the basics of the immune system and how it works can help clarify how immunotherapy works and why optimism toward it is growing. The purpose of the immune system is simple even if the process isn’t—kill invaders that threaten our health. While this is a complex subject that can’t be easily explained, knowing the actors and their roles in the body can help you understand immunotherapy. The presence of antigens raises the alarm for the immune system. The primary tumor antigen identified in mesothelioma patients is a protein called mesothelin. There is a greater abundance of this protein in mesothelioma patients and can be used to target mesothelioma cells. Mesothelin can be the signal for B cells to start producing antibodies. In theory, once these antibodies latch on to the tumor antigen (mesothelin), T cells are able to identify and kill the mesothelioma cells. The body has a hard time recognizing mesothelioma cells as being harmful, so it needs a little help. This is where immunotherapy comes in. Immunotherapy either directly kills tumor cells or mimics the immune system response in order to kill tumor cells (active vs. passive immunotherapy). There are essentially three basic types of immunotherapy. Cancer vaccines work by introducing a pathogen, such as a bacteria or virus, into the body so the immune system can learn to fight that pathogen. This is accomplished with the help of B cells and T cells, which work together to remember and kill certain pathogens. The pathogen introduced stimulates the immune system to recognize and start killing mesothelioma cells. Cells have specific proteins on their surface that help in signaling certain functions to other cells. This function is generally to continue reproducing, whether that involves generating new blood vessels or feeding tumor growth. Immune checkpoint inhibitors can interfere with these signals to prevent the metastasis of mesothelioma. Unlike cancer vaccines, monoclonal antibodies directly attack mesothelioma cells rather than initiating the immune system. Monoclonal antibodies are immunotherapy treatments developed in a lab designed to lock onto a specific tumor antigen. As part of the process, T cells are essentially extracted from a patient, manipulated and reintroduced. These modified antibodies attach to mesothelioma cells, which the antibodies are now able to recognize as a threat, and begin to consume the harmful cells. Monoclonal antibodies only bind onto one substance (the tumor antigen). This is a great example of targeted therapy. These antibodies can be used alone or to deliver toxic substances to mesothelioma cells. There are multiple clinical trials testing the efficacy of various types of immunotherapy drugs. 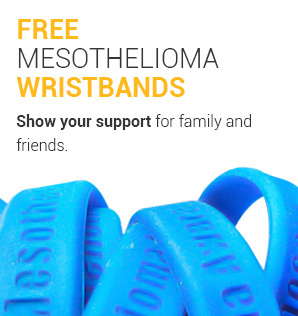 Every trial has different requirements and may even be administered with other types of mesothelioma treatments. A newer drug introduced for mesothelioma, CRS-207 is a cancer vaccine that has shown success in early phases of clinical trials. This vaccine is a genetically-engineered version of a bacteria called Listeria. It is engineered to be less harmful to patients’ overall health, while attracting the attention of T cells in order to attack mesothelioma cells. Tremelimumab is a monoclonal antibody that has turned heads in the mesothelioma community because of its potential to treat patients who are resistant to chemotherapy. This immunotherapy drug binds to a protein called CTLA-4 (cytotoxic T-lymphocyte antigen 4), which is found on the surface of T cells. Blocking CTLA-4 may allow T cells to do their job better and kill mesothelioma cells more effectively. PD-1 and PD-L1 (programmed death and programmed death ligand) are proteins expressed on the surface of certain cells that may be used to attract the attention of antibodies. When these proteins send signals to each other, the interaction inhibits T cells from killing healthy cells. It also prevents T cells from killing mesothelioma cells. Keytruda (pembrolizumab) is an anti-PD-1/PD-L1 drug that has shown success in inhibiting communication between these cells, enabling the immune system to attack mesothelioma cells. In a recent study, Keytruda was able to shrink tumors in 14 out of 25 mesothelioma patients. 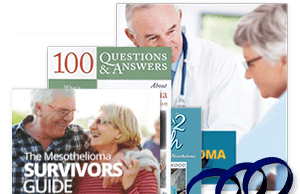 Is Immunotherapy Viable for Mesothelioma? There is no telling how soon an effective immunotherapy treatment will be discovered, but doctors seem to be optimistic. Many of the immunotherapy drugs being tested in mesothelioma patients have already gained FDA approval for the treatment of other cancers. For now, clinical trials are the best way for mesothelioma patients to get immunotherapy treatment. When conventional treatments aren’t effective, turning toward immunotherapy treatments may be the answer for prolonging survival. Many doctors view immunotherapy as a kind of management therapy for mesothelioma. Treating the disease like a chronic illness—keeping the disease at bay, rather than an all out assault—may be the best way to make long-term survival a reality for more mesothelioma patients. Get connected with new recruiting clinical trials today to see if you’re a candidate for immunotherapy treatments. Cancer Immunotherapy. American Cancer Society. Retrieved from: https://www.cancer.org/treatment/treatments-and-side-effects/treatment-types/immunotherapy.html. Accessed: 10/10/18. Immunotherapy. National Cancer Institute. Retrieved from: https://www.cancer.gov/about-cancer/treatment/types/immunotherapy. Accessed: 10/10/18. Lung Cancer. Cancer Research Institute. Retrieved from: http://www.cancerresearch.org/cancer-immunotherapy/impacting-all-cancers/lung-cancer. Accessed: 10/10/18. Non-specific cancer immunotherapies and adjuvants. American Cancer Society. Retrieved from: http://www.cancer.org/treatment/treatmentsandsideeffects/treatmenttypes/immunotherapy/cancer-immunotherapy-nonspecific-immunotherapies. Accessed: 10/10/18. Cetuximab. American Cancer Society. Retrieved from: http://www.cancer.org/treatment/treatmentsandsideeffects/guidetocancerdrugs/index. Accessed: 10/10/18. Immunotherapy for Malignant Pleural Mesothelioma. Current Status and Future Prospects. ATS Journals. Retrieved from: http://www.atsjournals.org/doi/abs/10.1165/rcmb.2013-0472TR?cookieSet=1. Accessed: 10/10/18. The Role of Regulatory T Cells in Mesothelioma. Cancer Microenvironment. Retrieved from: https://link.springer.com/article/10.1007/s12307-012-0100-4. Accessed: 10/10/18. What is cancer immunotherapy?. American Cancer Society. Retrieved from: http://www.cancer.org/treatment/treatments-and-side-effects/treatment-types/immunotherapy/what-is-immunotherapy.html. Accessed: 10/10/18. Targeted Therapy. National Cancer Institute. Retrieved from: https://www.cancer.gov/about-cancer/treatment/types/targeted-therapies. Accessed: 10/10/18.